Ann Arbor City Administrator Steve Powers says work on the sale of the former YMCA lot to Dennis Dahlmann continues to go smoothly. However with the city facing a December 16th deadline to repay the $3.5 million installment purchase agreement city council has approved a six month extension on the loan. Mayor John Hieftje says the extension is protecting the city in case the sale can't be finalized by the middle of this month. Hieftje says sometime next year city council will likely need to determine what expenses they want to repay before committing the rest of Dahlmann's $5.25 million purchase price to affordable housing. The extension resolution also called for budget amendments to refund the initial purchase price, plus about$425,00 dollars to the Affordable Housing Fund and the Downtown Development Authority for interest paid. WEMU's Andrew Cluley reports on Ann Arbor getting an extension on the YMCA lot loan in case the sale of the property isn't complete by the loan's due date. The City of Ann Arbor and the owner of the Campus Inn and Bell Tower Hotel have reached an agreement for the sale of the former YMCA property. Dennis Dahlmann agreed to all of the conditions required by City Council in addition to his purchase price of $5.25 million for the property at 350 South Fifth Avenue. Mayor John Hieftje says he's excited to have the sale moving forward and have the land providing income to the city and bring more vitality than a surface parking lot. The sale is expected to close by the end of the year to meet the city's deadline to payoff an interest only loan on the property. Dahlmann will be required to build a project including ground floor retail, large plate office space, and residential units. 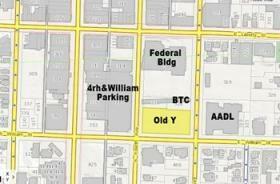 WEMU's Andrew Cluley reports on the sale of Ann Arbor's former YMCA site moving forward. 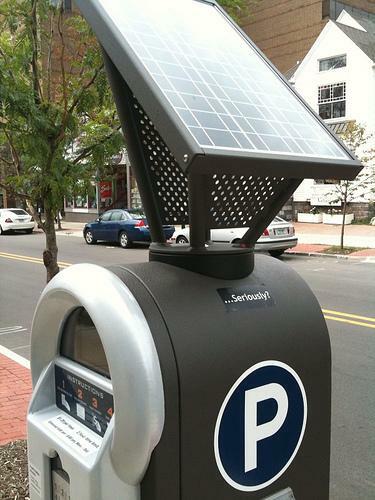 Ann Arbor City Council has delayed a vote on a proposed policy developed by the Downtown Development Authority to address the permanent removal of on-street parking meters. The two-week delay is so council can hold a public hearing on the issue. The policy proposes a $45,000 fee per meter removed for reasons other than an overall benefit to the community. 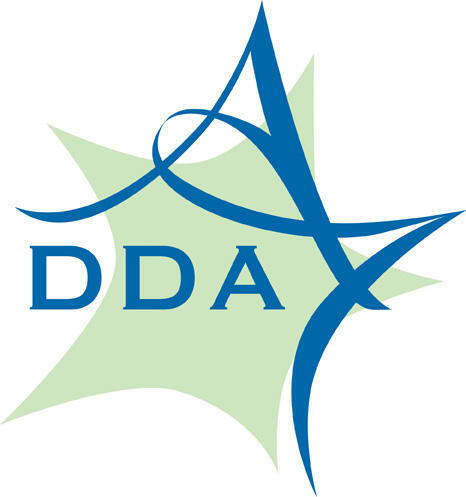 DDA Executive Director Susan Pollay says the policy could help the DDA work with developers to get the best possible projects for all. Pollay says over the last few years about 150 parking meters have been removed for a variety of projects large and small. She says the policy includes an option for developers to appeal a fee to the city administrator to review if the meter removal is an overall benefit to the community. WEMU's Andrew Cluley reports on a proposed policy to charge developers if their projects require the removal of on-street parking meters in Ann Arbor. Starting in 2016 Ann Arbor's Downtown Development Authority will likely have their ability to capture tax increment financing capped at a growth rate of 3.5% . City Council last night voted nine to two in favor of the first reading of a new ordinance amendment limiting the DDA's TIF capture. Chair of the DDA board Sandi Smith says this is a better plan than council originally considered but she thinks it will still hurt the city in the long run. City Council member Stephen Kunselman says the amendment will allow the DDA to continue to do great work downtown, but force the authority to be more responsive to the city and other taxing authorities. The amendment also caps DDA board members to three consecutive terms and requires annual contributions to the DDA's housing fund. WEMU's Andrew Cluley reports on a revised effort to limit tax increment financing captures by the Ann Arbor Downtown Development Authority. 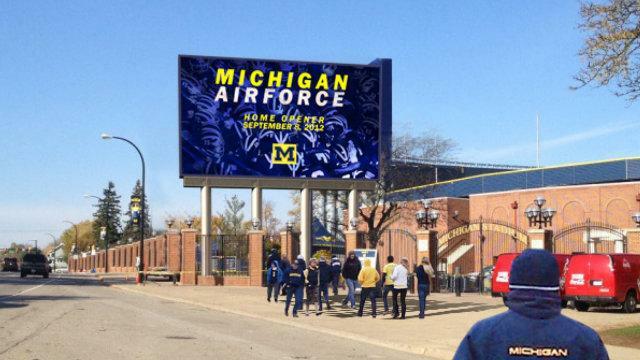 Ann Arbor City Council has adopted a resolution asking the University of Michigan to decommission its electronic billboard outside Michigan Stadium. The sign is the largest billboard in Ann Arbor and city officials say it's too large, too close to the road, and is distracting to motorists. 3rd Ward council member Christopher Taylor acknowledges he and his colleagues can't actually influence U-of-M's decision on this matter. The most they can do is ask the university to take the sign down. Taylor doesn't expect council to spend much more time discussing the issue, instead focusing on other issues of mutual interest with U-of-M.
WEMU's Bob Eccles' report can be heard here.